Hello, Gorgeous! 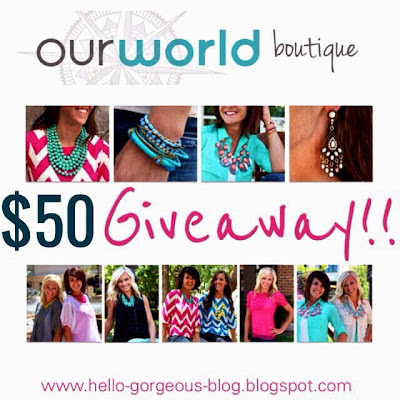 : Our World Boutique Giveaway!! The beginning of November is a funny time. After the candy haze of Halloween has lifted, there are still at least 3 or 4 more weeks until Black Friday and the exhilarating post-Thanksgiving sales (and lots of amazing family time, I should mention!!). So, to fill the void of the next few weeks, I have a few spectacular giveaways lined up-- the first of which is from the fabulous Our World Boutique! 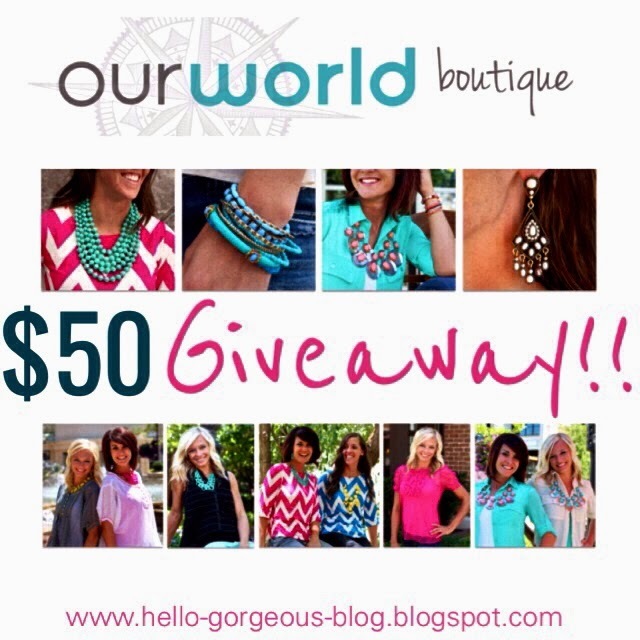 Thank you for the fab giveaway, Our World Boutique!! The small print: Giveaway ends on Monday November 11th and is open to U.S. residents only. Winner must claim prize within 48 hours. If prize is left unclaimed within this time, a new winner will be chosen. Wow fentastic. It is really nice to be ordered. The wanted resources and nice gateway is possible for all readers. The best essay writing service is offered cheap essay papers and assignments at online. You can discuss with our writers for making quality writing papers at online.